Blessed One characters in The Dark Eye learn different liturgical chants and ceremonies to invoke the powers of their gods. These game reference cards present a handy, colorful reference for each possible liturgical chant and ceremony that they can refer to easily and consistently during play! 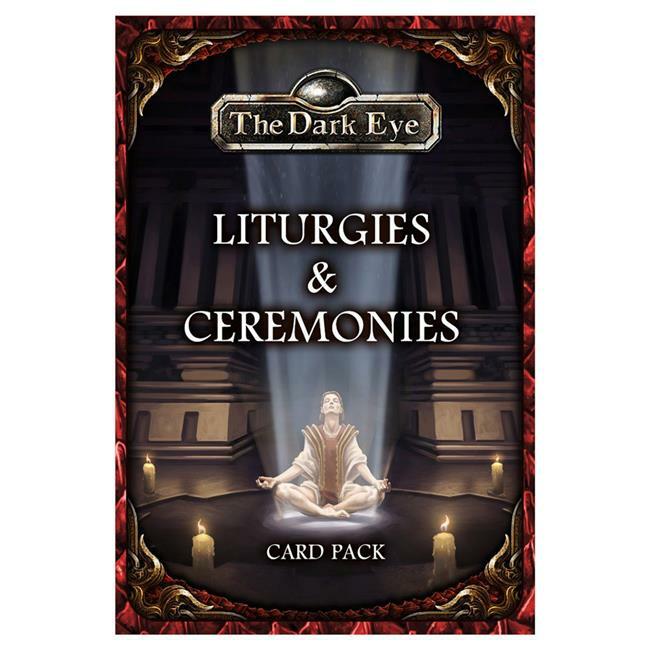 No need to flip through the Core Rules to find the specific data..it's right on the Liturgies & Ceremonies card!.Ages 14+.Contains.65 cards.